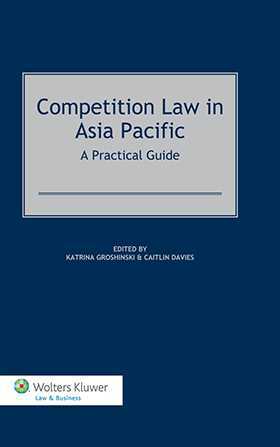 Competition Law in Asia-Pacific provides you with a practical, full-length guide to competition law and practice in the Asia-Pacific region. Drawing on the experience of recognized competition law practice leaders in key jurisdictions, it will help you navigate the competition landscape in 15 countries – from the most developed regimes, to countries where competition law and policy are still emerging. With an individual chapter for every country you’ll find it easy to refer to, and compare, the key provisions of each country’s competition law and practice. Its practical guidance will help you navigate long-established competition law regimes such as those in Japan, South Korea and New Zealand, as well as more recently established regimes such as those in Malaysia and Singapore. The authors also provide an overview of proposed competition law and policy in jurisdictions such as Cambodia and Laos, where regimes have not yet been implemented. The various jurisdictional approaches to merger control illustrate differing economic priorities. To help you make the right decisions the authors explain the origins, powers and approach of competition law decision-makers and law-makers in each country, and describe key enforcement action and cases. This valuable insight will show you not only the regulators' approach to enforcement, but also the approach of businesses to compliance. Each chapter sets out key areas of competition law including prohibitions on anti-competitive agreements and cartels, abuse of market power or dominance, and merger control. A table of key provisions for each jurisdiction will help you compare regimes and quickly identify potential issues. These provisions refer to relevant sections of the law, key defences, and commentary in other parts of the relevant chapter. recent developments and proposals for reform. This thorough and up-to-date comparative analysis on what Asia Pacific countries are doing in the antitrust sector will provide you with the essential practical guide you need to the law and procedure in each jurisdiction. Chapter 1 – Australia Katrina Groshinski and Caitlin Davies . Chapter 2 – China Andrew Foster. Chapter 3 – Hong Kong Geraldine Johns-Putra and Miranda Noble . Chapter 4 – India Cyril Shroff and Nisha Kaur Uberoi. Chapter 5 – Indonesia Mochamad Fachri and Farid Nasution . Chapter 6 – Japan Yusuke Nakano and Taku Matsumoto. Chapter 7 – Malaysia Lim Koon Huan and Jason Teoh Choon Hui. Chapter 8 – New Zealand Dr Ross Patterson. Chapter 9 – Pakistan Bilal Shaukat and Shahbakht Pirzada. Chapter 10 – Singapore Daren Shiau. Chapter 11 – South Korea Cecil Saehoon Chung and Kyoung Yeon Kim. Chapter 12 – Thailand Professor Ian McEwin and Dr. Sakda Thanitcul. Chapter 13 – Vietnam Dr. LUU Huong Ly. Chapter 14 – Cambodia and Laos R. Ian McEwin.